I told you I'd be back with some more of these adorable flamingos from Reverse Confetti. I noticed they were having a color challenge, so I thought I would jump right in. The challenge colors are navy, red and gold. It took me a few times to get the card the way I wanted, but I am happy with it now. Have fun with the challenge and I'll see you tomorrow. 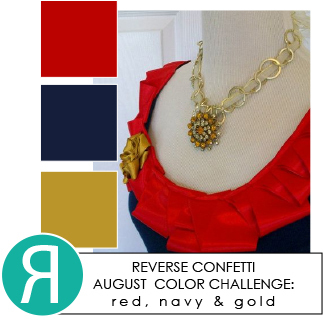 Fantastic take on the Reverse Confetti color challenge! 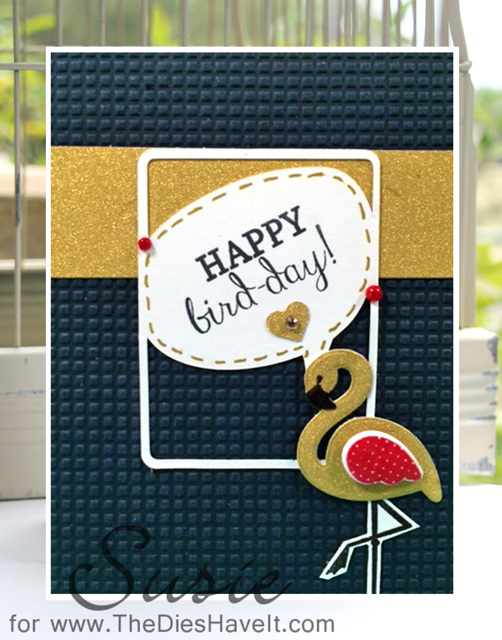 Love the gold flamingo!